ActivLives need your support! Every penny raised goes towards creating & developing community spaces across Ipswich and Suffolk to help motivate, support, educate and inspire people living in areas of deprivation. Provide sessions across Ipswich & Suffolk at our hubs and gardens. Support older people, people with mental health problems, people with disability out in the community. Maintain our hubs and gardens so they can continue to run regularly and grow over time. Help people to improve their lifestyles through physical activity, healthy eating & social contact. Help young people & people long term unemployed to gain skills & qualifications to improve their employability. Bring people together & develop support networks to keep people healthy, happy & social. You can also support us by leaving a legacy, a lasting gift, in your Will. Bequests should clearly state ‘ActivLives‘ to ensure the people we work with benefit from your kind gift. Another easy way to donate is to send us a cheque payable to ‘ActivLives’. Cheques are a superb way of donating to us if you don’t have access to a computer. To find out more information about leaving a legacy to ActivLives in your Will, please contact Julie Stokes on 01473 345350 or email via julie@activlives.org.uk. Just take a look below at the list of possible websites you can access in order to make a donation to ActivLives. Each of these websites simply exist to help raise money for charities. 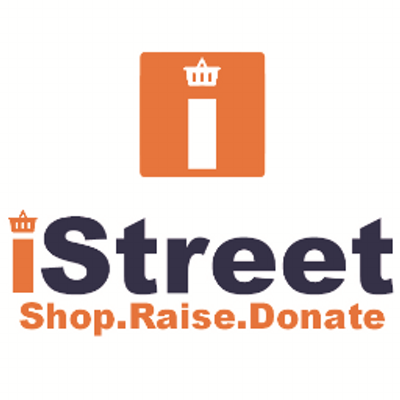 iStreet is a giving-centric social enterprise, helping to raise millions for UK charities and good causes for free, all through the power of online shopping. They connect charities with retailers, so that when you shop online your chosen charity will get a small percentage from every purchase, without it costing you any more. BT MyDonate lets your donate and fundraise for us, and unlike some other websites, every penny goes to us – nothing is taken by BT as commission, so everything you donate goes straight to us. You can then choose to add GiftAid to increase your donation even further! PayPal Giving Fund UK (originally ‘MissionFish’) is a charity that enables eBay and PayPal users to give to good causes quickly and easily. PayPal Giving Fund certifies charities to participate in the eBay for Charity programme, and collects donations from eBay and PayPal users. It also distributes those donations and Gift Aid to donors’ chosen charities, which receive 100% of the funds raised. The PayPal Giving Fund allows users of both PayPal and eBay to give a donation on top of their purchase – or donate a percentage of their sellings. As eBay is the largest auction website in the world, there’s thousands being raised every day. A Power-Seller (or Power-Buyer) could run a charity for months! Recycle4Charity allows you to raise money for your chosen charity by recycling you old inkjet cartridges and mobile phones. In return they donate £1 for all listed empty original inkjets, up to £5 per laser/toner cartridge and up to £70 per mobile phone received. They supply recycling bags, collection boxes and posters to help collect and send back the wanted items. What better way to get rid of unwanted junk than recycling it for money?! Easyfundraising.org.uk uses online shops to donate to your given charity. You simply shop online as normal – but instead of going to the main website, you go via easyfundraising.org.uk, and a percentage of your purchase will be donated. They make it so you can donate money while indulging yourself! Like any company, money plays a huge role in the expansion and maintenance of our organisation. Money is needed to employ staff, to hire halls to run events, to pay for our office and our equipment, to keep this website up and running. Without money, any company would fall apart – or just not progress and grow. Before ActivLives, we were called the Town & Bridge Project, which was one of the first multi-agency projects established by the One Ipswich Local Strategic Partnership. The project aimed to help and improve the health of Suffolk’s (and probably East Anglia’s) least healthy populations: those people aged 45-74 living in the town centre and Stoke (Bridge) area of Ipswich. The Fit as a Fiddle Programme was introduced alongside two other Town & Bridge initiatives; The People’s Community Garden, and Keep on Rockin’. The funding enabled the development of two ActivAge Centres, which provided a place for people to meet and socialise, as well as offering healthy lunches, a variety of exercise sessions, other activities/outings, advice and information, support and opportunities for volunteering. 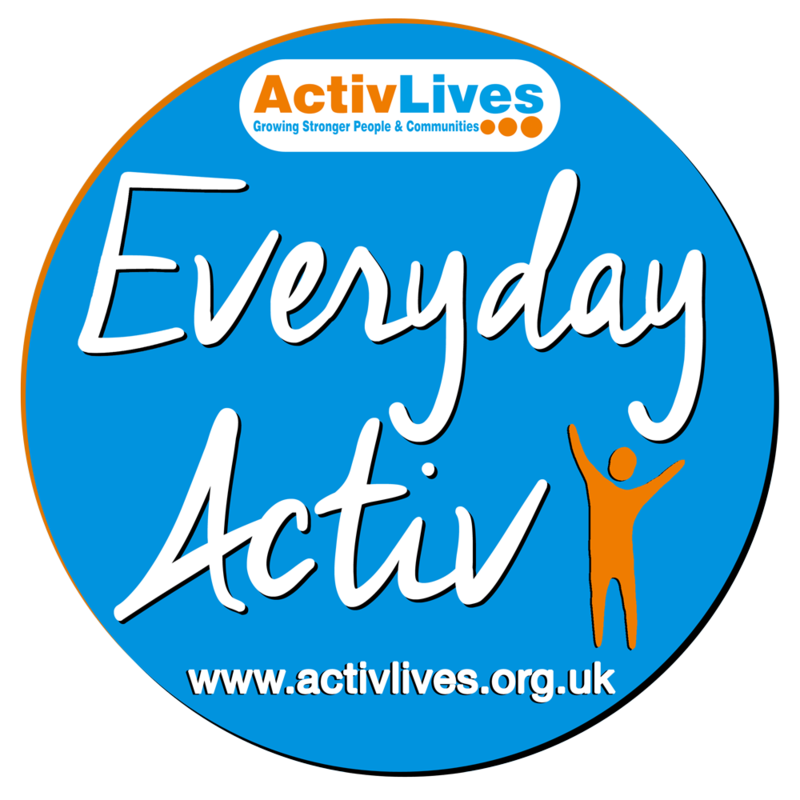 At the Everyday Activ Hubs & Everyday Activ Ipswich centres and lunch clubs (Stoke and Oasis), donations go towards buying meals, paying staff and hiring the hall for the lunch clubs, and help keep the members happy and healthy. At the Everyday Activ Gardens (People’s Community Garden, Chantry Walled Garden & Grow Your Community: Sudbury) donations help us buy equipment for the workers, buy compost for the garden, maintain our bee hives and help run courses for people with learning disabilities or for schools. At Everyday Activ Singing (Keep On Rockin’) donations pay for the coaching of a professional singer, the hall the group rehearse in, pay for transport for members and pay for any music that the group sings along to.